News happen everyday and how East India Co.medy converts it to something to learn and laugh from is amazingly great! East India Co.medy continues to create news in their special avatars and making us laugh every week. Check out what happened the week Humshakals was released in a theatre near you. Vasu Primlani is one of the best standup artists as I have enjoyed her performance live in Gurgaon on the occasion of launch of Anuvab Pal’s book The Chaos Theory. Check out this video and see for yourself. She brings a lot of fun with her style and acts. And thanks to @NDTVPrime we are not paying Rs. 400 to watch her and many others. Lol! Comedy is something we all seek and enjoy. The Bottom Line and The rising stars of comedy are some of the special shows from NDTV Prime based on their motto of #workhardplayhard Some of the episodes are there in my earlier blog posts and rest of them you can check it on the NDTV website and on your TV’s every Monday and Thursday at 10pm IST. “You have been a lovely audience” – why do every standup has to say these words even half-heartedly? Is it because he was given a chance to perform or because he wants to keep doing it and make a name/earning for himself or it is just he wants to meet some beautiful women after the show. I need to say it myself and check it out. SterKinekor is one of the biggest entertainment company by Primedia Group in South Africa. They have the largest market share in terms of movie complexes with more than 400 screens and 63000 seats. POPZ is Ster-Kinekor's venture into creating the same entertainment and joys which you get at their theaters. POPZ is the pack of theater style Microwave popcorn which comes in different flavors mainly Salt, Butter, Extra Butter and Lite. Every pack of popcorn is 85g and the tub has 425g total weight. The tub is retailing around R60 in makro stores. POPZ packs are bundled sometimes with some of the movies in this case with Smurfs 2 to give people a free tub to put their popcorn in. The promotions are always on their facebook page with a lot of contests and news. Check out these popcorns and enjoy the entertainment of big screen (food part) on your small screens at home with POPZ. More info on twitter and facebook. 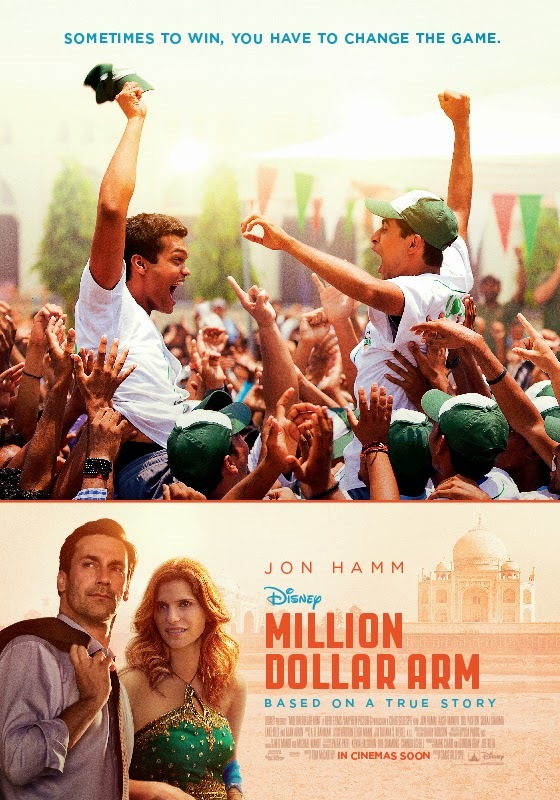 Million Dollar Arm (2014) is a Walt Disney's movie based on true events about two normal village athletes from India playing for the US baseball clubs. It's the uplifting story of hope and dreams about three guys whose destiny changes as they had faith in themselves and acted on that faith too. The movie stars Suraj Sharma (Life of Pi) fame, Madhur Mittal (Slumdog Millionaire) fame along with Pitobash Tripathi, Darshan Jariwala, Jon Hamm, Aasif Mandvi, Lake Bell, Tzi Ma (24 TV series fame), Alan Arkin and Bill Paxton in various characters. The movie will definitely touch the hearts of many towards the dreams they always wanted to achieve. Music is by none other than A.R.Rehman and I am sure that the movie will fetch one Oscar definitely for Background Score and Original soundtracks. The movie is an exceptionally great watch except the fact that the Indian cinematography shown are only of poor slums, village areas to evoke pathetic/disgusting emotions in the hearts of Americanized public. That's how Hollywood has always pictured India as, so nothing new and nothing changes in this movie also. Every country has it's own culture, India being second in it's population -Not everyone can drive Porsche and not everyone has a great home to live. That's life!!! Movie is releasing in Ster Kinekor on 19th Sep 2014. Book your tickets now. More info on twitter and facebook. Check out facebook page of Disney. It’s time to get out of the urban jungle, leave the traffic behind and experience the 5 star adventure of a lifetime. 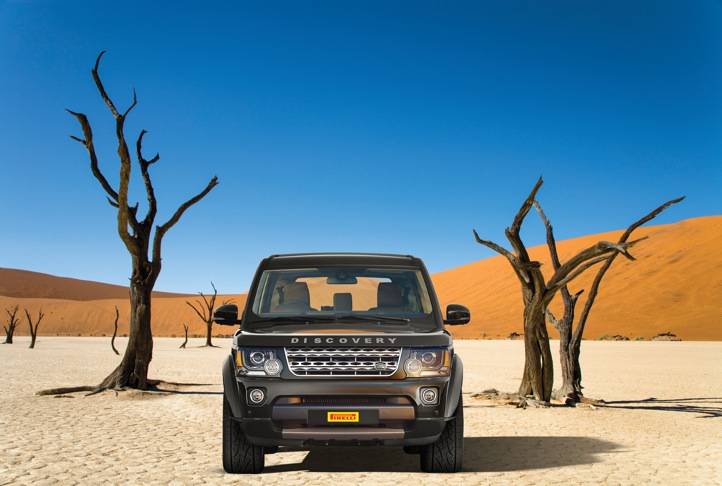 Pirelli and Landrover are offering you the chance to explore the wild and beautiful landscapes of Namibia in a Landrover SUV. The Pirelli Landrover Experience will unleash your inner pioneering spirit and give you a taste of the best Namibia has to offer. From the Naankuse Wildlife Sanctuary in the Eros Mountains, to Swakopmund, where the remote Namib Desert awaits to give you views into tomorrow, to an adrenalin-pumping day of putting the SUVs through their paces on the Swakopmund dunes, this incredible journey will leave you breathless. Of course, in tough territory like the Namib Desert, safety and performance are paramount. Which is why Pirelli SUV tyres and Landrover are the perfect mix, because together they are game for any terrain. Pirelli tyres combine top performance, the highest quality and Italian passion, helping cars perform at their very best. Pirelli tyres ensure a shorter braking distance, better handling and grip and improved safety. All of which means a pulse-racing Landrover SUV Adventure that doesn’t compromise on safety or control. To stand in line to win one of four double tickets for this incredible prize, simply purchase any two Pirelli SUV Tyres at your local fitment centre and upload a scan or photo of your original invoice to www.pirelli.co.za. Winners for the extraordinary Pirelli Landrover Experience will be announced on the 5th of September. For more information, go to www.pirelli.co.za . It’s time to hit the open road with Pirelli and Landrover – Don’t miss out. Closing date for the entries is 31 August 2014. Travel dates for winners will be from 24th - 27th October 2014. If it's time that your Car/SUV wants new tyres then it's your time to make your dreams come true. As they say, if you have not purchased the tyres, you lose the chance to win also. All the very best! 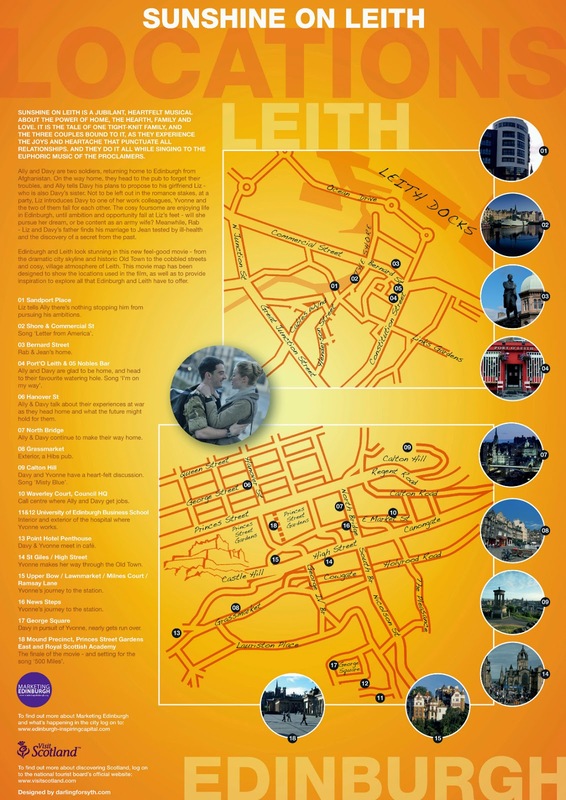 Sunshine on Leith (2014) is a musical drama set in Edinburgh, Scotland. It is an adaptation of stage musical by the same name. Most of the songs in the movie are from The Proclaimers band. The movie is a musical journey in the life of two British soldiers recently returned from Afghanistan to reunite with their families and loved ones. What happens in their lives is the context of this musical drama. The story has nothing new to offer but Music is the main purpose for which people go and enjoy these movies. 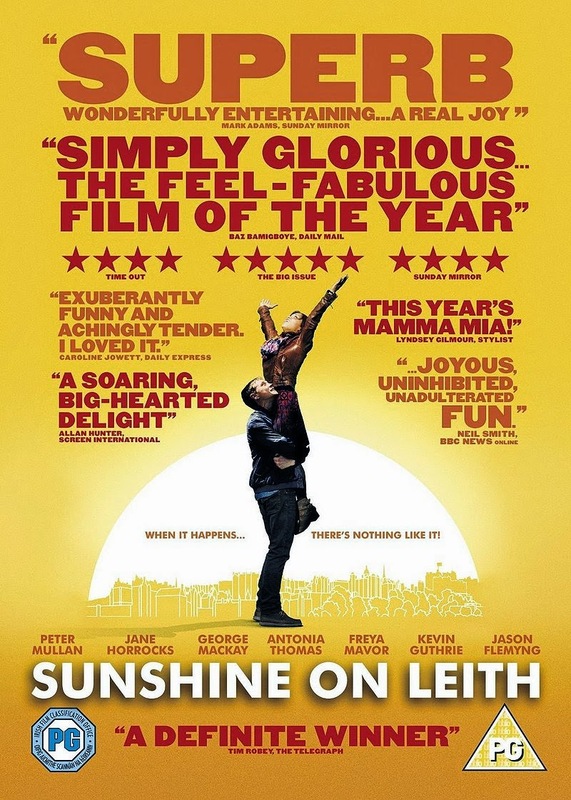 Sunshine on Leith shows life of three couples and how past has affected their life in future? Can they conquer whatever is thrown to them by life is the theme of the musical? The thing about musicals is that you should have listened to songs before to enjoy the same fully. It also depends on how much you like and understand the lyrics of the songs? The movie closes with a Flash Mob where you will see all kinds of people dancing and enjoying the same. Check out this poster from Visit Scotland about the various beautiful locations used throught out the movie. I myself missed many during my visit way back in 2011 but really relived those moments through this movie. Movie is releasing in Ster Kinekor on 26th Sep 2014. Book your tickets now. More info on twitter and facebook. AAP is full of qualified people; at least they can go back to their jobs in case they are not able to do well in Politics unlike some other party leaders who have nothing to go back to for example Pappu ji. 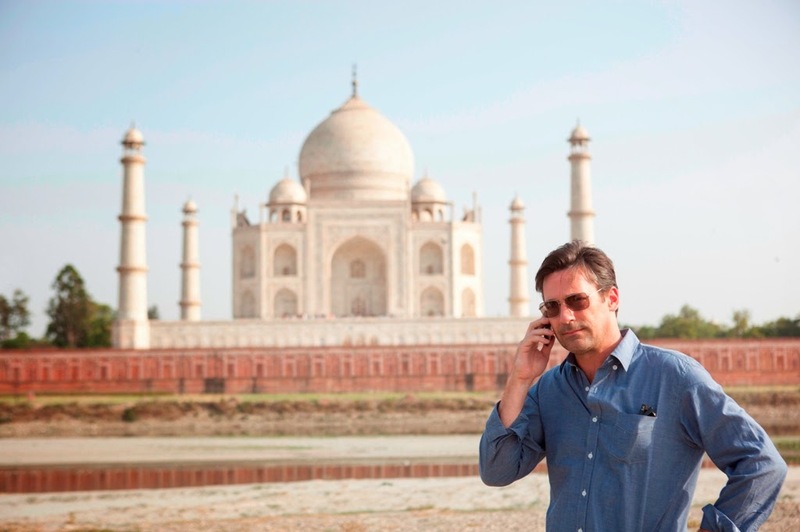 Our neighboring countries are like the Spice Girls and Modi is like the David Beckham. Many more news items like these with a lot of twist and a comic touch. Controversial Goal Line Technology introduced in FIFA – It is a step back in time. Blackmail is the only solution. How and why? Check out this another episode of The Bottom Line. Sorabh Pant, Kunal Rao, Sahil Shah, SapanVerma and Azeem Banatwalla will definitely bring a lot of smiles on your faces. This is something totally different from the Rising Stars of Comedy and for knowledge conscious generation, The Bottom line is what matters…It’s a laughter riot between the news and what makes the news! “Not in the news this week” – Navjot Sindhu has been given Nobel Peace prize for not speaking for 9 whole seconds. LoL! Alia Bhatt thinks Vladimir Putin is a bond villain from Casino Royale, after Sharapova said she doesn’t know Sachin. If Sharapova is a dumb girl, does the whole nation need to make themselves dumb also? Check out East India Comedy’s take on the Union Budget 14 & Railway Budget Special edition in this episode. No one puts their Facebook status messages for checking-in Indian Railways just like they do for airplane/airport transfers and check-in’s! Lol! In another joke, what does each express train signifies and what Chennai Express will make you? Check out in this video link. PRECIPITATION – Flooding to a theater near you… a movie trailer you won’t want to miss!!! 10 reasons why people from the North East are better than you – Do you know? It’s really nice, logical and intelligent ten pointers for everyone to understand. What happens when two Khans mates every year on full moon night? All the answers are right there in this 21 minutes episode of The Bottom Line on NDTV Prime. Keep watching THE BOTTOM LINE till your wife throws the remote as her sleep disturbs by your own loud laughter tracks. Note- Not all videos of this show are available online in Youtube. Check NDTV website for more. Drive Hard (2014) is a thriller movie about a driving instructor (earlier Motor Racer) taken hostage as a getaway driver to do a bank robbery of US$ 9m bonds. The movie is shot extensively in Gold Coast of Queensland, Australia. John Cusack and Thomas Jane are the main actors in this movie. This movie offers nothing much other than a car journey to other end of Australia and showing the lovely sightseeing en-route. The story is about taking revenge from someone who has betrayed John Cusack earlier. Cusack has played his role in a cool manner and overall story holds good if you enjoy it without any logic or expectations. It's a long talk about family and respect between the two as Cusack brings Thomas Jane to accept reality and offers him some great advice to go after his dreams. Some of the extra cast has not shown any promising acting and their characters are not properly integrated in the story. They are just there for the sake of being there and then they all die to end the story. You can wait for the movie to be shown on TV and save your money for something better releasing next week. Movie is releasing in Ster Kinekor on 12th Sep 2014. Book your tickets now. More info on twitter and facebook. August was the start of Android apps review on my blog. I started this series way back then with my favourite apps without which my android phone is not fully efficient. 1. An Android App a day - 1. MobisleNotes - This is my favourite app which is like notepad to keep notes of my what to do list. Last year, I used it to keep track of the contests won and goodies received or not? 2. Indiblogger Gift - Breakthrough Mug - Received Indiblogger Ring the Bell mug and my collection increased by one. 3. My Dream - My DSLR - Nikon D600 - My love for Nikon DSLR and how much I missed having the same? 4. Twitter Goodies - Nissan Coffee Table book - My first coffee table book I won from Nissan Motors in one of their twitter contests. 5. Lonely Planet - Short Escapes from Delhi - A Lonely Planets guide to guide me to favourite hotspots near Delhi. I won this in one of their contests. My first Lonely Planets guide and I thoroughly enjoyed reading it. July being my birthday month is always special for me. My birthday party gave me some great moments to cherish with my family and friends. I continue to receive some of the best goodies from twitter contest and posted a lot of blog posts for the same. Travel blog posts mainly took over due to Blogadda & Indiblogger travel related contests. 1. Product Review - Blogadda - ITC Ultramintz - Awesome Product- Blogadda chose 50 bloggers from India to review this awesome mint from ITC. I received Rs 2000 gift voucher for Wills Lifestyle for the same. It was really awesome feeling to be chosen amongst many to blog about this product. 2. The First Monsoons Rains in Gurgaon - A relief from the summers and I took some of the photographs using my Panasonic FZ5. This post is one of the top 10 posts on my blog. Rain is something which brings a lot of memories and freshness to our lives. 4. Twitter Goodies - Dell_IN Father's Day Contest - One of the best gifts for the twitter contest was sent by Dell India. Soundlogic bluetooth headsets are really great. 5. Usman Riaz Learned Music the Internet Way - Some of the TEDx inspirational videos and this one was Franklin Templeton and Indiblogger contest.Really loved watching all the videos and choosing some to write about them. Received some other goodies from Superdry, Economic Times, Sony Music, Honda Amaze Garnier Men twitter handles and posts pictures of the same on my blog. My mom read the news of some celebrity getting a parole from Jail, and commented to me that, “People are getting leaves from Jail also, which corporate big company are you working for that you don’t get even one”? Indians parents buy their growing kids clothes always one size bigger so that it can be used for 2-3 seasons. The repercussions of the same are when the kids wear them next season with some alteration, there is a significant color difference and what happens after that is told in one of the new comedy series. NDTV Prime TV channel has come up with THE RISING STARS OF COMEDY TV series to keep our funny bones trickling. Rising Stars gives great chance to local and upcoming talent to showcase their English & Hinglish standup comedy acts. Check out some of the videos and I am sure these will bring a big smile on your face and your loved ones week after week. Check out this first video where a divorced guy is living with his Punjabi mother and what happens in his life. It reminds me of a dialogue from “2 States” that there is nothing more dangerous than a Punjabi Mother-in-law. Some of these acts give you a reality check along with the dose of laughter which takes away all your stress in an instance. Rising Stars of Comedy takes on NDTV Prime every Monday and Thursday at 22:00 for half an hour. The show will take you out of the working week blues and help you carry on with the rest of the week. Another video which gives a funny outlook on how your name can create havoc in your life? Here is this guy from Bangalore whose name brings him a lot of interesting incidents. Another guy from Gurgaon, tells his tales of growing up and how it has impacted his buying skills as an adult? This will definitely make you rolling on the floor as it happens everywhere in India. Produced by Mother, Directed by Wife!!! Lol!!! NDTV Prime belives in #WorkHardPlayHard which really is what we do work wise but playing part we always put in for holidays and weekends which leads to stressful living. Here is something to break away from the trend and create a joyous future. Checkout this third full-fledged 22 min episode by a corporate guy from Ghaziabad and life there. He continues to explore what happens in our Corporate HR programs for employee’s motivation and wellbeing. He has also given insights into the day to day life of unmarried girls in corporate world. This is one of the best episodes of the show and I can bet that you will have stomach aches after watching this one due to laughter. The best thing about the Rising Stars of Comedy is that there will always be new talent coming up which will really make this more interesting week after week. I wish by the end of next year, I will also have some courage to take a two minute slot and entertain the crowd. Till that time, I just need to take a back seat and laugh, laugh and just laugh. Not every day I come across a nice portable speaker which takes my minds towards enjoying music anywhere and everywhere. 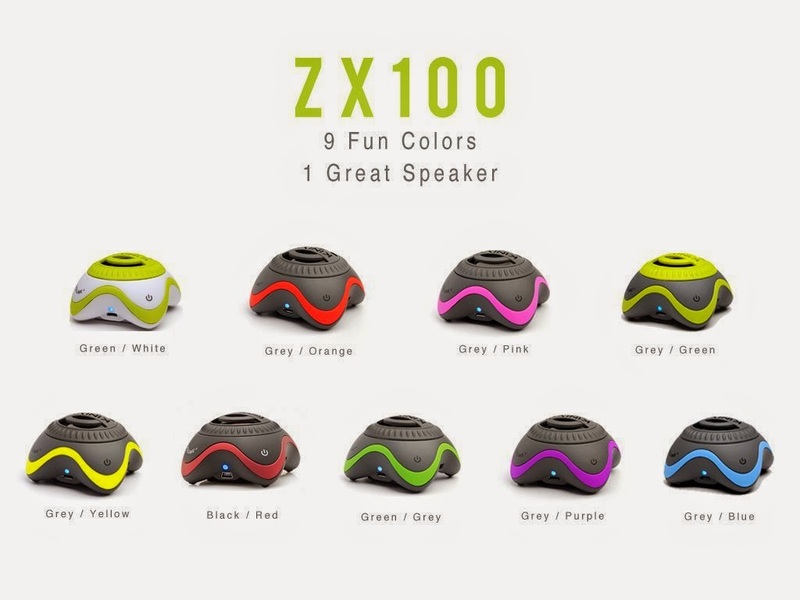 Kinivo ZX 100 is light weight, extremely portable mobile speakers with 3.5mm jack to give you loud and clear sound output. This device comes in various colours and with rechargeable battery this one gives continued music output for long hours. The speakers design is compact and beautiful. 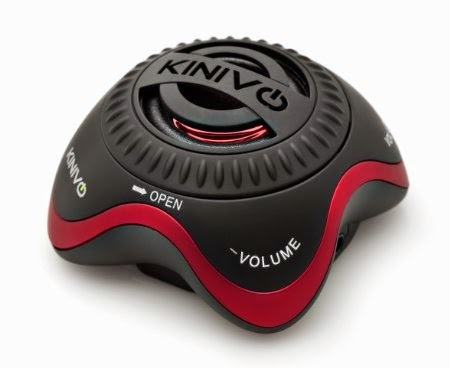 Kinivo ZX100 comes with a port to connect with other similar speakers to create a surround sound. ZX 100 battery gives you uninterrupted music playback for more than 3-4 hours depending on the volume level. The best part of this device is that 3.5mm jack is tied to the bottom of the device in a nice packable design, so no more losing of cables etc. The charging cable is different and the device can be charged using USB output of laptop and using power adapter also. The box doesn’t include any power charger or adapter. Kinivo ZX100 has unique technology called as Expansive Resonator Construction Design (ERCD) to give the best low frequency output. The resonator is designed into the speakers and you switch it on, we just need to twist the top portion of the device. This gives much more bass and sound effects to your music. This small device has got really loud volume outputs. None of my other devices produces sound in volume level like this one. Moreover this has 360 degrees sound output just like Sony NFC BTV5. There are volume control button (Increase and Decrease) on the device around the four corners of the device. The other two corners buttons are for Power ON/OFF and to connect other speakers. 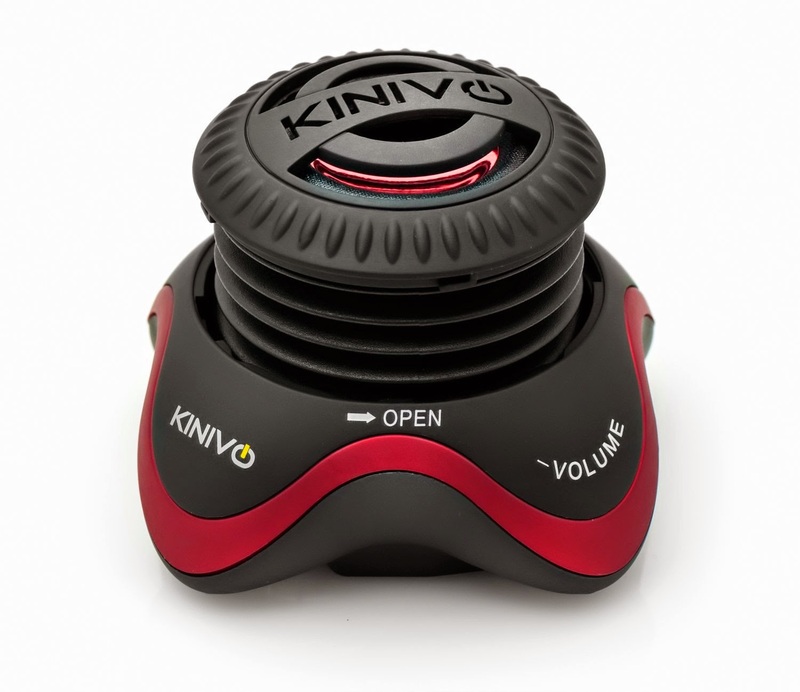 Kinivo ZX-100 has no Bluetooth built into it which customer demands from Kinivo. I hope the new version of the speakers will have Bluetooth built into these small speakers with no loss of design and compactness. To make these speakers Bluetooth, I connected Sony MW600 to Kinivo ZX-100 and connected wirelessly to my mobile/tablet making it work perfectly with this small setup. 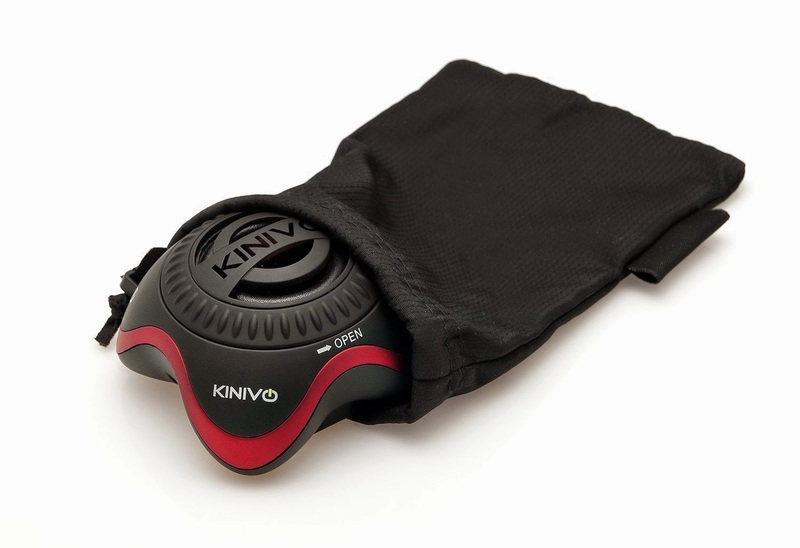 Kinivo has packed a nice small carry pouch in the box to take care of your ZX-100 during non-use and travel. 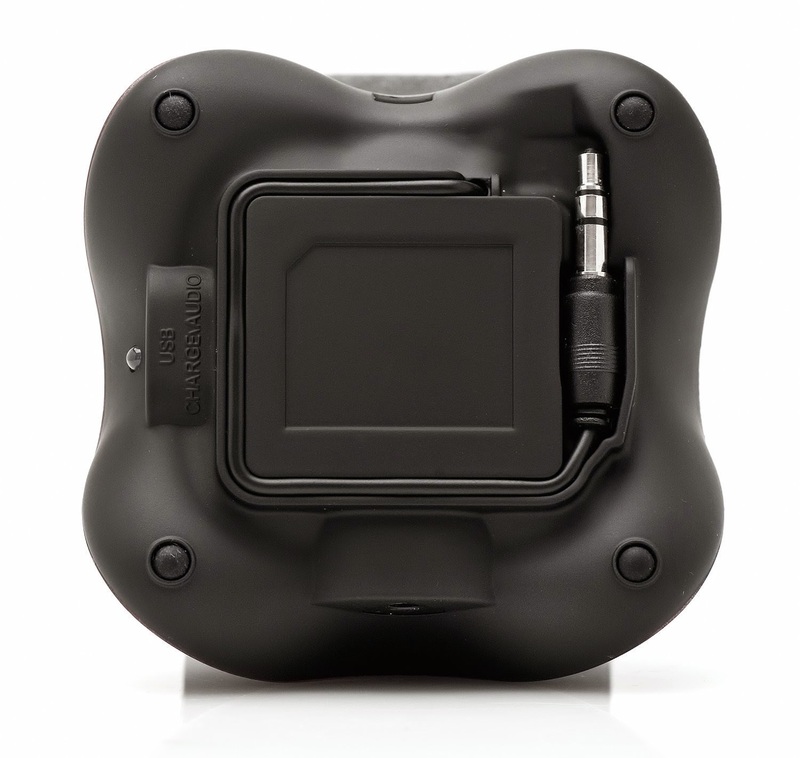 Almost every device which can take 3.5mm jack can work fine with these speakers making them score high. The company also gives 1 year warranty for the product. Kinivo is an American company manufacturing a lot of bluetooth devices and other speakers to make our day to day living easy. 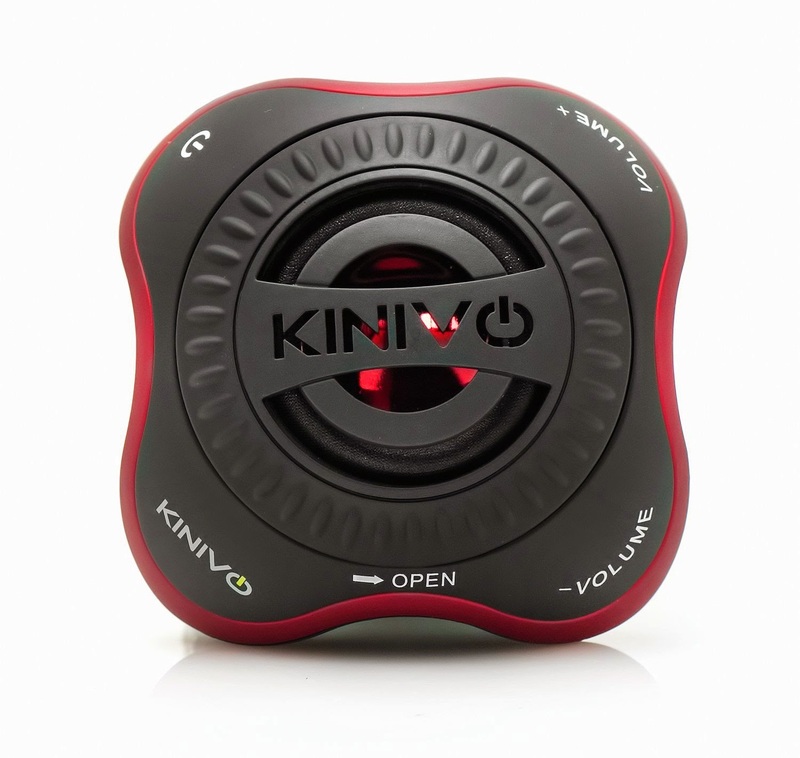 Checkout my another review of Kinivo’s Bluetooth Handsfree Car Kit BTC-450. It was the time when Indiblogger contests were in full bloom and I wrote several posts for WeChat contest. 1. WeChat with Comedy characters who are everywhere – This is one of the post I really like to read again and again. I think this to be one of my best ever as I try to think in the way as the several characters of the post will. Check it out! Wrote another one on Indian Independence and won the Rs. 1000 GV for the same. 2. Book Review - From the Rat Race to Financial Freedom by Manoj Arora – This is one of the best financial books ever written for Indian scenario. I got the book from the writer and immediately fell in love with the contents of the book. Mr. Arora is launching a new book Happiness Unlimited in August at Pragati Maidan, Delhi. 3. HP PRINT ART - A Project Managed by PIRATES – An Indiblogger meet for the family where my wife and daughter too came to enjoy the HP Print Art. We won the first runner up project for our Pirates theme. It was a nice family day and picnic along with other bloggers families. My daughter is a big fan of Rob - M.A.D ART on Pogo TV and this was a stepping stone for making her dream true to meet Rob. 4. Book Review – Dongri to Dubai – S. Hussain Zaidi – One of the interesting read about the man whose name is famous world over. This book gives what happened in his life and how he rose to the cult status he has today. 5. My 100th Post - Celebrating with BOSE MIE2i Mobile Headset – Wrote my 100th post onwww.thelifesway.com and celebrated them with the latest BOSE headsets which I always wanted to have and listen to. These are one of the best earphones and gives surround sound effects. I am still using them and falls in love with them every time I listen a song using them.